Is feel good hit of the year too cliché? Probably in some cases, but here it needs to be said. 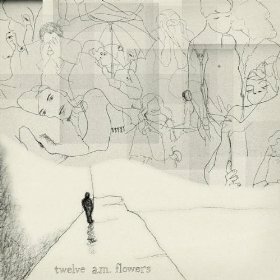 Local band twelve a.m. flowers are homely in every sense of the word. Pictures, videos, and especially their music make you feel like your heart is wrapped in something warm and familiar. The album Curiously Immortal is iconic in the sense of making every day seem extraordinary. It is loving and achy and if you find it in the right situation it can reach in and grab your heartstrings. “Ninety Goodnights” is a love ballad of sorts that grabs you by the hands and twirls you around the room. The album’s instrumentals are the firm, clean canvas for lyrics to be poured out on. “Pistols At Dawn” is the song that makes you ask why bands like this aren’t taking over the radio waves. This is as down to earth as it gets, and is an artist who is crouching down and looking you in the eye, speaking into your heart. Grab this and keep it.